The marriage between Reiki and Shamanism is so obvious that the thought never even occurred to me. My shelves are lined with books on various types of Reiki, a bunch of Joseph Campbell (Journey of the Hero) like books, and a nice selection of personal journey, self help titles. In my Reiki practice, I have always encouraged my clients to use Reiki as a tool to self understanding. My position is that True Healing comes from self acceptance and resonance with the genuine self. I don't know why I didn't see the connection sooner. 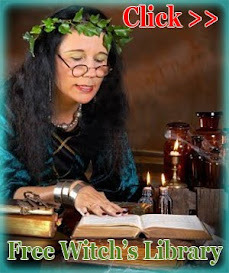 Reading Shamanic Reiki gave me a profound ah-ha moment. I've always felt that Reiki didn't quite describe what I do and what I believe that my clients need. In the past, I've been frustrated by individuals who simply want me to cure their ills. I know that the energies can relieve their pain. I also know that by continuing the same life patterns, these same individuals will soon find themselves in the exact same position. I've always thought that Reiki should be used not only to relieve the clients concerns but also as a way to understand the root of the problem. Now I see that the authors of Shamanic Reiki suggest exactly this. They seek to ask more of both the practitioner and the client. This involves a partnership of sorts, a commitment to healing and personal growth on the part of both parties. This is the kind of practitioner I want to be. 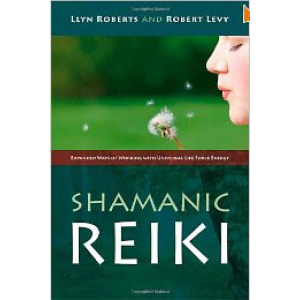 Read this book if you would like to integrate shamanism into your Reiki practice. The authors make it effortless. Each chapter presents easy to follow approaches, which will involve you and your clients in the process of making your Reiki sessions more powerful. The authors empower us to step confidently into our personal exploration of combining shamanism with Reiki by communicating to us their profound Understanding of the nature of energy. We will understand that our success depends on our intention, our Relationship to spirit, and our trust in the healing process. As we experiment with the book's healing methods and exercises, we will remember the authors' admonishment that healing tools are channels of healing energy, not the energy itself. After we close the covers of the book, we will be ready to open our basket of tools and use them to experience the rewards of incorporating these two important healing modalities.